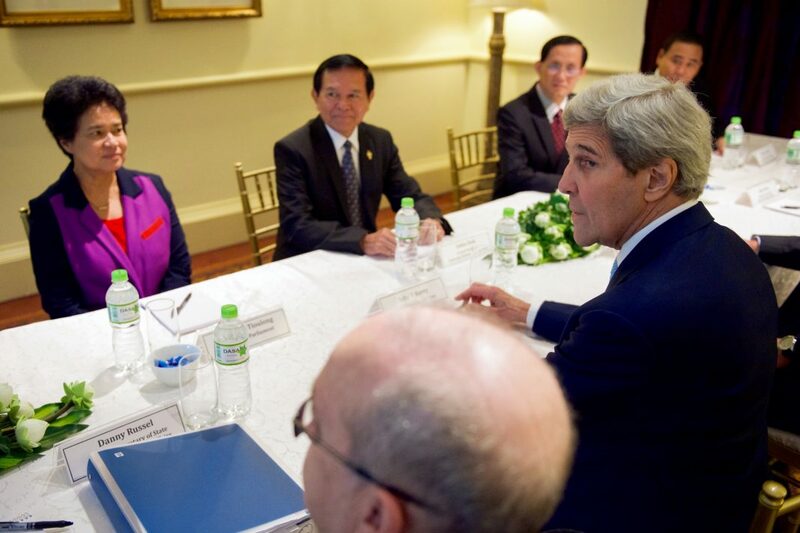 Kem Sokha meet with US Secretary of State John Kerry and Ambassador William A. Heidt in Phnom Penh on 26 January 2016. The European Parliament on December 14 adopted a new resolution to reiterate its strong concerns about the further worsening situation in Cambodia. The move comes after the country’s Supreme Court dissolved the main opposition CNRP party and outlawed over 100 politicians ahead of a general election next year. MEPs strongly condemned the arrest of Kem Sokha and other political activists charged with treason and urge the Cambodian authorities to immediately set them free. According to ALDE MEP, Petras Auštrevičius (Liberal Movement of Lithuania), it’s time for the EU to increase its pressure on the Cambodian government. Cambodia’s long-serving Prime Minister Hun Sen recently said the 2018 national election result does not require international recognition to be valid. This statement is the latest sign of his determination to hold on to power after almost 33 years in office.